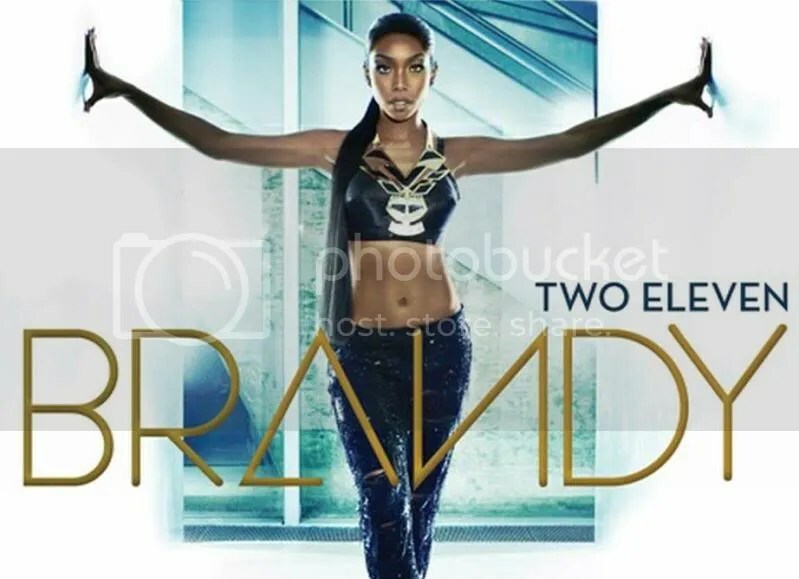 Brandy has unveiled the official songwriting credits for her upcoming sixth album, “Two Eleven,” which is due in the United States on October 16 via Sony Music Entertainment / Chameleon / RCA Records. New single “Wildest Dreams” was helmed by Justin Henderson and Christopher Whitacre of R&B production duo Tha Bizness, who are also responsible for “Strip” by Chris Brown [Sony Music Entertainment / RCA Records] and “Follow My Lead” by 50 Cent [Universal Music Group / Interscope Records]. Other producers backing Brandy on the new collection are Shondrae “Bangladesh” Crawford (Marsha Ambrosius, Beyonce Knowles), Dwayne “Dem Jointz” Abernathy Jr. (Candice Pillay, Keke Wyatt), James “Jim Jonsin” Scheffer (Michelle Williams, Usher Raymond), Harmony “H-Money” Samuels (Ne-Yo, Jennifer Hudson), Warryn Campbell (Kelly Price, Yolanda Adams), Dave “Switch” Taylor (Christina Aguilera, Santi White), Mario Winans (Tamia Washington, Faith Evans), Nathaniel “Danja” Hills (Justin Timberlake, Nelly Furtado) and Michael “Mike City” Flowers (Lalah Hathaway, Sunshine Anderson). Songwriters include Sean “The Pen” Garrett (Keyshia Cole, Jamie Foxx), Amber “Sevyn” Streeter (Estelle Swaray, Trey Songz), Richard “Rico Love” Butler (Keri Hilson, Sean Paul), Daniel Morris (Fantasia Barrino, Kelly Rowland), Eric Bellinger (Christina Milian, Justin Bieber), Christopher “Frank Ocean” Breaux (Kanye West, John Legend), Breyon Prescott (Kid Cudi, Angie Stone), Pierre Medor (Tynisha Keli, LeToya Luckett), Earl Hood & Eric Goudy (Monica Arnold, Carl Thomas) and Tiyon “TC” Mack (Amanda Reifer, Tamar Braxton). Wildest Dreams: (Sean “The Pen” Garrett, Justin Henderson, Christopher Whitacre). So Sick: (Sean “The Pen” Garrett, Shondrae “Bangladesh” Crawford). Slower: (Brandy Norwood, Chris Brown, Amber “Sevyn” Streeter, Breyon Prescott, Dave “Switch” Taylor). No Such Thing as Too Late: (Richard “Rico Love” Butler, Daniel Morris, James “Jim Jonsin” Scheffer). Let Me Go: (Sean “The Pen” Garrett, Shondrae “Bangladesh” Crawford, Bjorn Yettling, Lykke Li Zachrisson). Without You: (Eric Bellinger, Courtney Harrell, Breyon Prescott, Harmony “H-Money” Samuels). Put it Down: (Chris Brown, Sean “The Pen” Garrett, Shondrae “Bangladesh” Crawford, Dwayne “Dem Jointz” Abernathy Jr.). Hardly Breathing: (Richard “Rico Love” Butler, Pierre Medor). Do You Know What You Have: (Brandy Norwood, Sean “The Pen” Garrett, Breyon Prescott, Pierre Slaughter, Mike Williams). Scared of Beautiful: (Christopher “Frank Ocean” Breaux, Breyon Prescott, Warryn Campbell). Wish Your Love Away: (Brandon Ramon Johnson, Tiyon “TC” Mack, Ryuichi Sakamoto, Mario Winans). Paint This House: (Earl Hood, Eric Goudy, Pierre Medor, Richard “Rico Love” Butler). Can You Hear Me Now: (Richard “Rico Love” Butler, Nathaniel “Danja” Hills). Music: (Breyon Prescott, Michael “Mike City” Flowers). What You Need: (Sean “The Pen” Garrett, Shondrae “Bangladesh” Crawford).